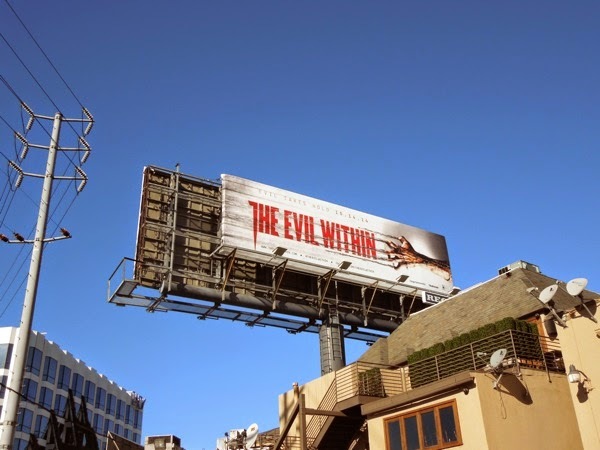 You can certainly tell that Halloween is fast approaching as more and more horror-themed billboards are popping up in the skies of L.A., from spooky theme park outdoor ad campaigns, billboards offering costume inspiration, to ads for the latest scary video games, like The Evil Within. 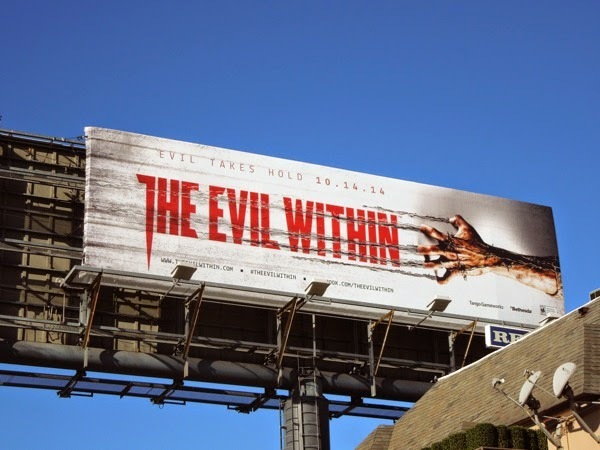 These ad creative for the survival horror game really capture the genre perfectly and at first glance Daily Billboard thought they were actually for a new movie, as the clawing hand and screaming face are tropes you usually see in horror film advertising. 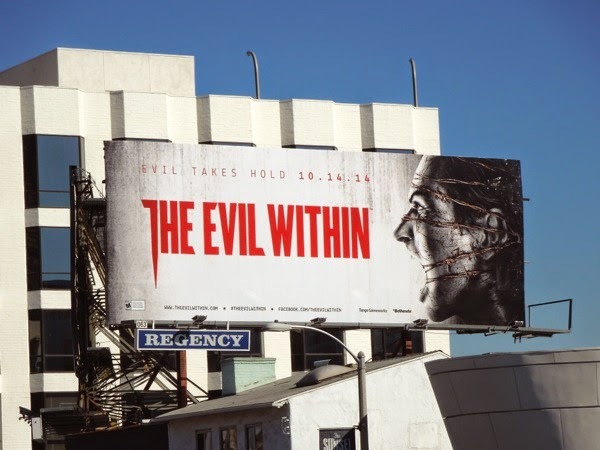 In The Evil Within you'll play 'Detective Sebastian Castellanos' in an ever-shifting world of gore, violence, deadly puzzles and a multitude of horrific enemies. 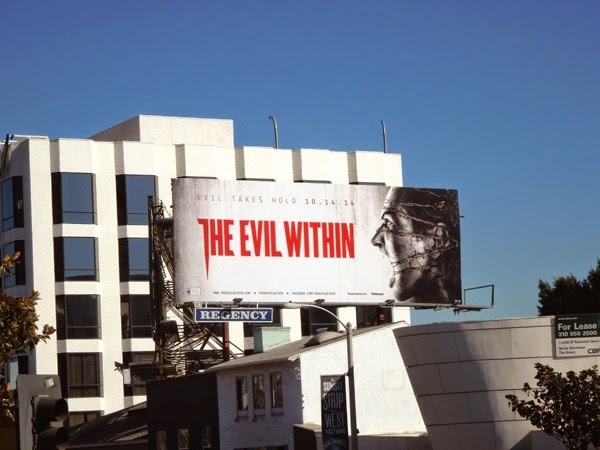 These highly evocative billboards were spotted above West Hollywood's busy Sunset Strip on October 2, 2014. 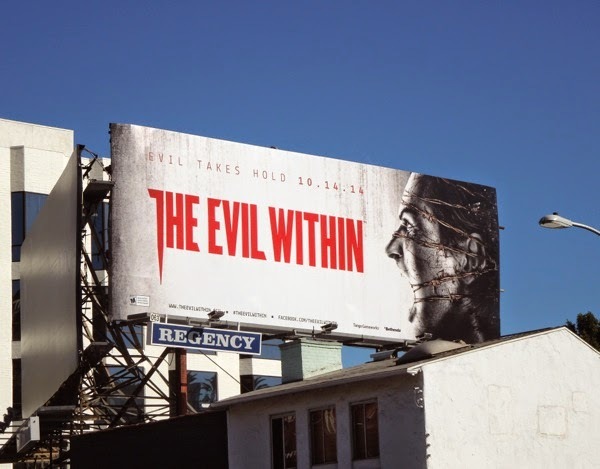 If yore a fan of the genre, be sure to check out these many examples of horror movie billboards and for all you gamers, enjoy these video game ad campaigns from the past few years. Can you survive the surreal world of The Evil Within? 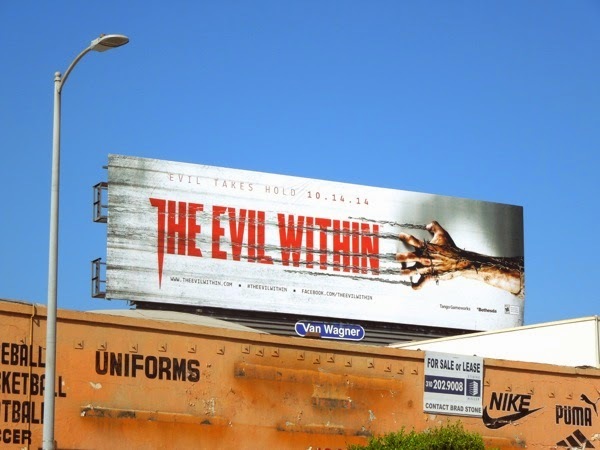 UPDATED: Here's a larger landscape billboard of the clawing hand creative spotted along Santa Monica Boulevard in West L.A. on October 16, 2014.